Tagged Agricultural residues, animal manure, Bioenergy, Biomass, Biomass Energy, Biomass Energy in Pakistan, Biomass Resources in Pakistan, Cane Trash, cotton, cotton sticks, crop wastes, Energy Crisis, Husk, MSW, Pakistan, Rice husk, rice straw, solid wastes, Straw, Sugarcane. Bookmark the permalink. A very good article, but you see in Pakistan overall problems are different in nature, negative Politics, poor administration and other multiple problems don’t let us to progress in utilizing natural resources, we are not ready to accept these technologies. Wheel is already invented and in Pakistan we are trying to invent it again…… Solar is faliure,…. LED s a faliure….. Biogas… coa letc etc all are failure, Un counted blessings of ALLAH, you name a product in which Pakistan is deficent, but we have Power – Gas – Water – Humane resource, etc etc issues in our country. So at least we should dream GOOD, for the time being and HOPE to have brighter future for PAKISTAN………….. Thank you for reading the article with interest, I can see that you share the on ground realities. We will have to find a way out, I have not lost hope and working with organisations which support this idea and are making effort to promote Biomass based power plants in Pakistan. Will you please call me on 03232307832 or give me your contact no so that I can call you and discuss some thing important in relation to Solar sys project. I am Major M Mustafa Kamal, Presently undergoing an MBA degree programme at Rawalpindi. Sir read and copied few of your articles for reference, and wanted to thank and COMMEND you for the great jobs you are doing. I pray for your wellbeing, sir. Naseem is right, there is no shortage of potential power and agricultural resources in Pakistan, it is blessed with many millions of animals who can provide energy and fertilizer, 14km of coastline that could provide wave energy, endless sun to provide solar PV and thermal energy, and a wind corridor envied by many other nations. Despite this and the efforts of experts like Naseem, and AEDB, UNIDO and others, little progress has been made. Unless this is addressed at top Governmental level, the loadshedding, loss of production, personal misery, and as in the case of Landhi, where I have tried and invested for many years to produce energy and fertilizer from the thousands of tons per day of dung, the environmental degredation of the land and sea will continue. I wish Naseem and Pakistan Godspeed as they navigate this difficult, but ultimately necessary mission. you can exchange you ideas maybe can find a way for your future plans. 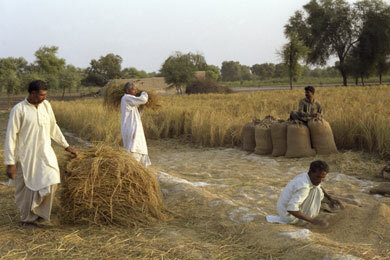 Availability of wheat straw in Pakistan ? We have good source to export the shredded wood from USA to Pakistan. It is the best source to get more heat energy. Some companies in Pakistan working on it and making the Biomass fuel to use in Steam Boiler, sugar Industries even in cement industry. We process 3000 metric tons wood per month. If anyone want to get this energy source . We can export on regular bases. We export shredded wood to south east Asian countries.